In April 2016, I came across an interesting article in the online BK Wine Magazine at www.bkwine.com. Author Per Karlsson discussed how ampelographers distinguish one grape variety from another. The most reliable way to identify a grape variety or clone would be a DNA test. Grapevine cultivars have been studied extensively using genome sequencing and specific grape varieties have been singled out. For example, the Pinot Noir grape was sequenced several years ago by an Italian-based multinational consortium. 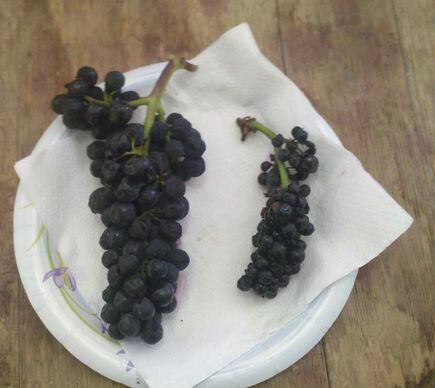 Identifying specific Pinot Noir clones by DNA testing has not been reliably successful to date. 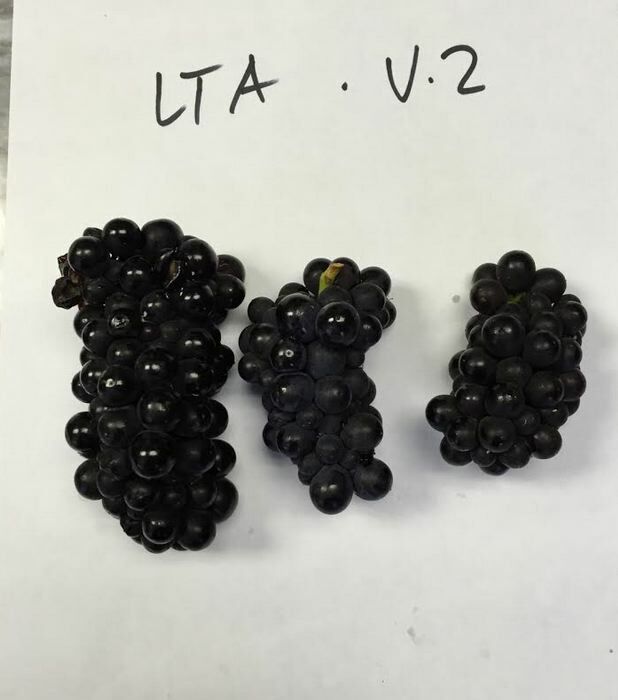 Botanical specialists can use leaf and grape bunch morphology to identify grape varieties and to a lesser extent grape clones, but it is not always easy to be certain. 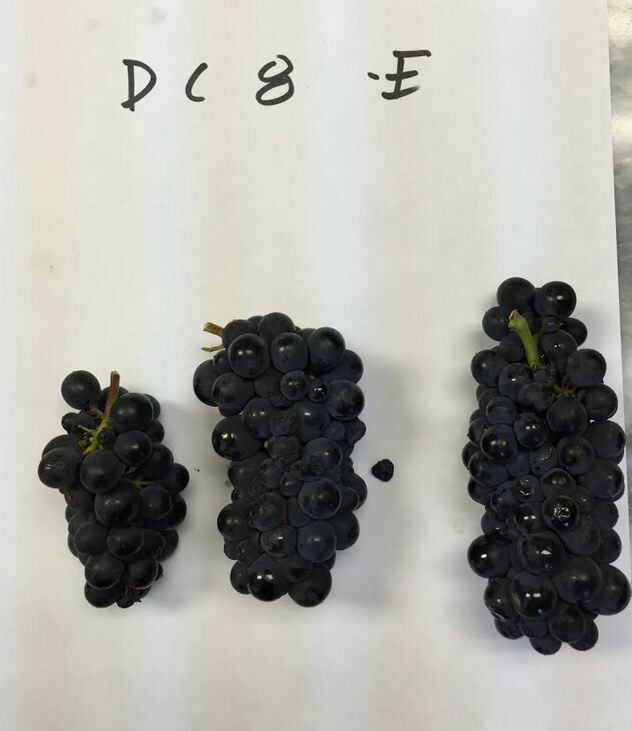 Karlsson points out the important characteristics of grape bunches in arriving at an identification: (1) color of the bunch, (2) size and weight of the bunch, (3) size of the berries, (4) shape of the bunch, (5) tight or wide spread grapes in cluster, (6) where is cluster attached on vine, (7) thickness of grape skins, and more. 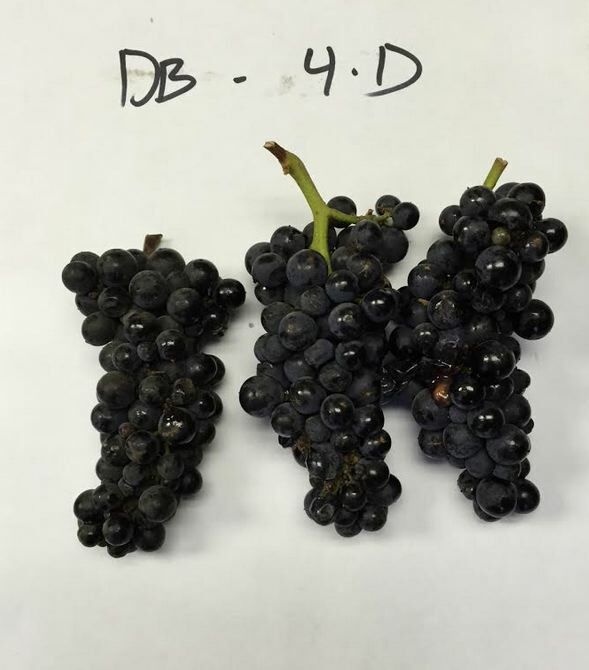 Identification of clone based on grape bunch appearance is challenging because presentation will be altered by site, climate, vintage, and a number of other variables. 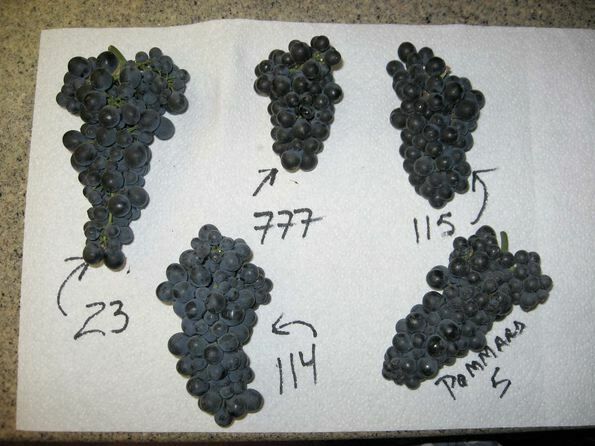 I collected a number of different clonal and selection Pinot Noir grape cluster photos to demonstrate the similarities. Thanks to Jeff Fink, proprietor and winemaker of Aether Wines, for permission to use many of his photos from the 2015 vintage. Key (top left to right): Quinta Del Mar Vineyard Dijon 777, Quinta Del Mar Vineyard Dijon 115, Laetitia Vineyard Dijon 115, Dierberg Vineyard Mount Eden; (bottom left to right) Pence Ranch Swan, Drum Canyon West Block Calera, Drum Canyon East Block Calera, Drum Canyon Swan, Sanford & Benedict Dijon 115. Enlarged photos below follow the same sequence. 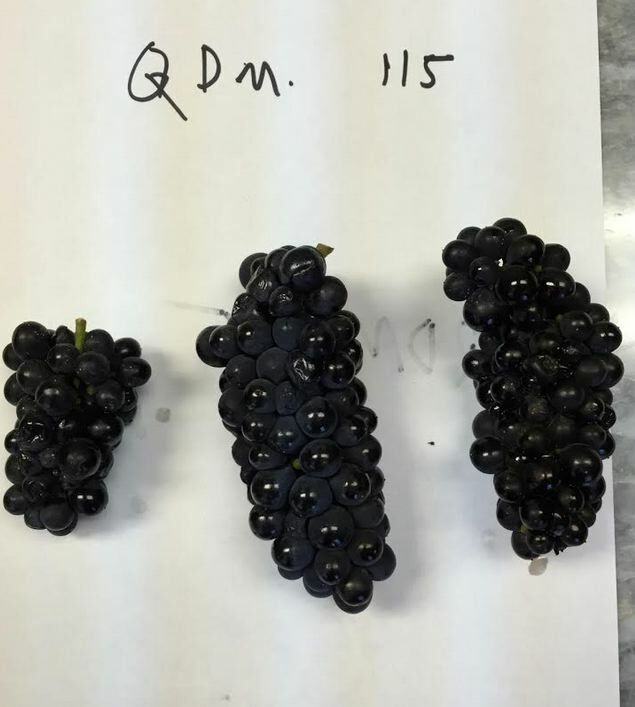 I have included this photo as well which adds cluster views of Pinot Noir clones Dijon 114, 23 (Mariafeld) and Pommard 5 to 115 for comparison. 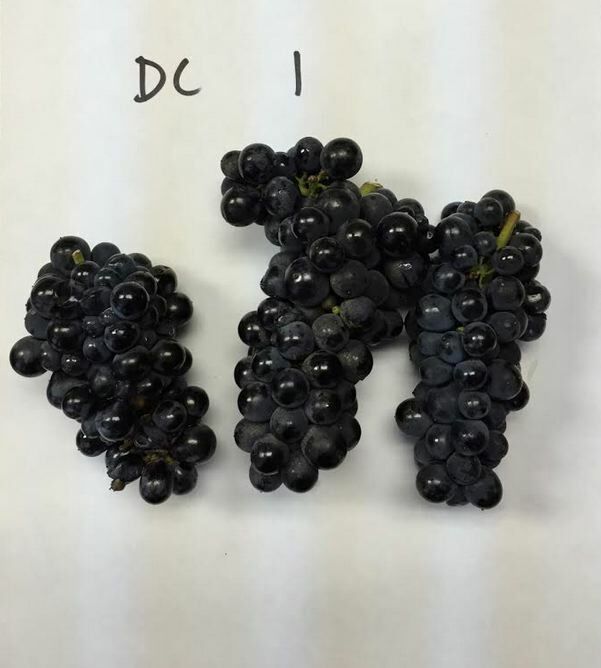 Below is a photo of Dijon 943, a very small clustered clone compared to Dijon 777. The 100-point scoring system has been the standard used by nearly all wine publications to rate wines since its introduction by Robert Parker, Jr., in 1983. Parker has said that the various 20-point rating systems do not provide enough flexibility and often result in compressed and inflated wine ratings, yet the 100-point wine rating system has become subject to the same shortcomings since it essentially has become a 20-point rating system also. Wine quality standards in the 1980s were nowhere near what they are today, especially for wines like domestic Pinot Noir, resulting in very few wines of less than 80-point quality. Your wine got a score of 90? : yawn. The virtue of domestic wines like Pinot Noir has risen to such an extent that it is rare to find a wine that rates below a score of 80 except for cheap, supermarket bottlings priced less than $12 that rarely are reviewed. In Parker’s rating system, 80 would qualify as barely above average while wines below this would be considered straightforward and innocuous. These innocuous wines that deserve scores of less than 80 are usually omitted from publications since the wines have no interest to readers of these publications. With current California and Oregon Pinot Noirs, the vast majority of bottlings over the past few vintages fall in the 87-92 point range (not only for wines I review but for wines reviewed by many other publications). In essence, this range becomes the “average,” with scores of 93 and above being outstanding or even extraordinary, and scores below 87 becoming below average. The 100-point scoring system has been compressed to a 20-point scoring system with little to differentiate the wines. The inflation of scores has diluted the value of a 90 point score and the compression of the scoring range has pushed more wines into the 95-98 range, even though they can be undeserving by past standards. I reviewed my scoring from 2013-2016 to see if there was an inflation of my scores of Pinot Noir. There was only a slight increase. I did not include reviews where a range of scores were offered (ie 90-91). The average scores for each year: 2013: 89.6, 2014: 90.4, 2015: 90.2, and 2016: 90.7. Interpretation of 100-point scoring system is not consistent. Nearly every wine critic interprets the 100-point rating system differently such that the scores are not strictly comparable from one critic to another. One of my readers, Bob Henry, has pointed out a number of inconsistencies in the 100-point scoring system as used by different publications. He notes that the Wine Spectator (March 15, 1994), a publication that adopted the 100-point scoring system in 1985, reported its editor explaining that reviewers do not assign specific values to certain wine properties of a wine when they score, preferring to grade the wine for overall quality as a professor grades an essay taste. A score is then based on how much the reviewers like the wine overall. No specific points are assigned to color, aroma, texture, finish and so forth as Parker does. I would say the essay analogy is flawed since professors look for specific grammar and syntax errors and subtract these errors in determining the final grade. Parker has maintained (Wine Times, 1989) that his rating system is really a 50 point system that incorporates two 20-point systems with a 10-point cushion on top for wines that have age ability. He gives up to 5 points on color, up to 15 points on aroma, and up to 20 points on flavor, harmony and length. That equals a possible 40 points. The balance of 10 points is awarded to wines that have can improve in the bottle (admittedly sort of arbitrary). I do not assign specific points to wine qualities but rather take into account aroma, flavor, texture, length of finish and balance. Beyond this, there is a subjective factor that equates to emotion: some wines remote or excite. I also rate primarily on how the wine drinks at the time of review and give only a little credit to age ability since I know most readers drink their domestic Pinot Noir and Chardonnay within a few years of release. I do re-taste many better wines after opening later in the day or the following day as a determination of quality and long term aging potential, and take this into account. My scoring system for Pinot Noir and Chardonnay has been: 94-100 (extraordinary deserving of the Pinot Geek icon), 90-93 (outstanding), 86-89 (very good), 80-85 (good) and 75-79 (decent). Scores have not been published for wines that are unsatisfactory or score less than 80 points since I cannot recommend them. Bob Henry pointed out to me the 100-point scoring system discrepancies among different reviewers with another example. The Pinot Report 100-point rating scale considered a score of 80-85 as average because the quality of winemaking in California has improved insofar as recalibration of the “average” quality made necessary a change from 70 to 85 points for an “average” quality wine. Jamie’s dilemma is also mine. The 100-point scoring system is so compressed around 90 points, useful distinctions are challenging to arrive at and measurable differences between a rating of say 89 and 90 are vague. I have a number of misgivings about the 100-point scoring system, and did not rate wines with a numerical score during the first six years of publication of the PinotFile. In reality, a wine score only matters to the person doing the scoring since we all have different tastes. That said, the wine drinking public has come to rely more on scores than wine descriptions in choosing wines and have learned to align themselves with wine critics whose palate closely follows their own preferences. So what to do with a wine rating system that may have outlived its usefulness and is of declining interest to the up and coming younger generation wine consumer? How can we devise a new rating system that won’t invalidate, discredit or deem useless the 30+ years of published ratings based on the 100-point system? Earlier this year, a former Lazard investment banker launched a data-based wine rating system based on 1000 points known as Wine-Lister. Wine-Lister points out that the 100-point ranking is narrow, with just about all scores ranging from 80 to 100 points. The system takes into account a wine’s estimated age ability, its price, its auction performance, and global strength of the brand. 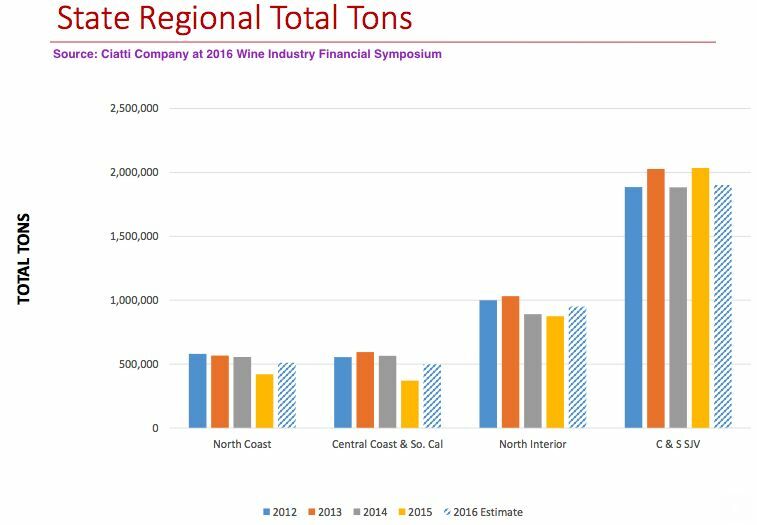 Much of this data would have no applicability to domestic wines except the most highly collectible. The 100-point and 20-point ratings of wines by prominent critics are translated into the 1,000 point system. Wine-Lister would seem to appeal only to serious collectors and investment-worthy wines. Visit www.Wine-Lister.com. 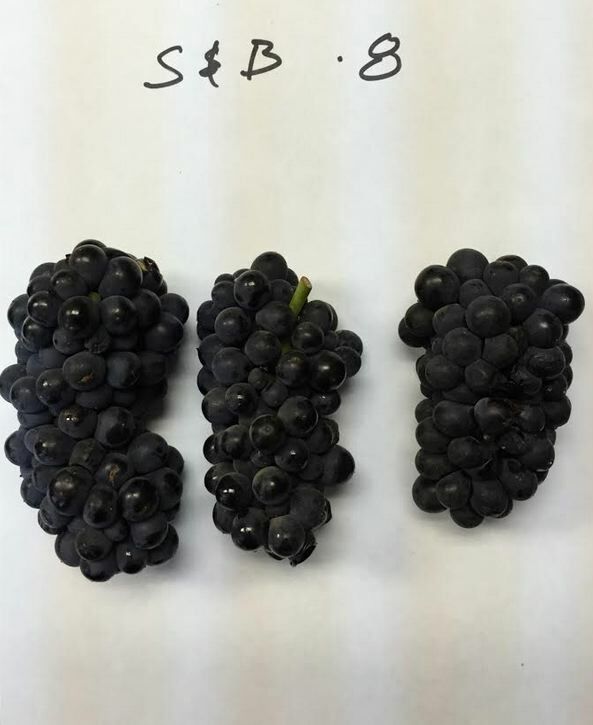 I have often considered the usefulness of a taxonomy of Pinot Noir that could be applied to the tasting notes of different reviewers so that the reader could compare the notes. A 100-point score quality judgment could be incorporated at the end, but would receive less emphasis. 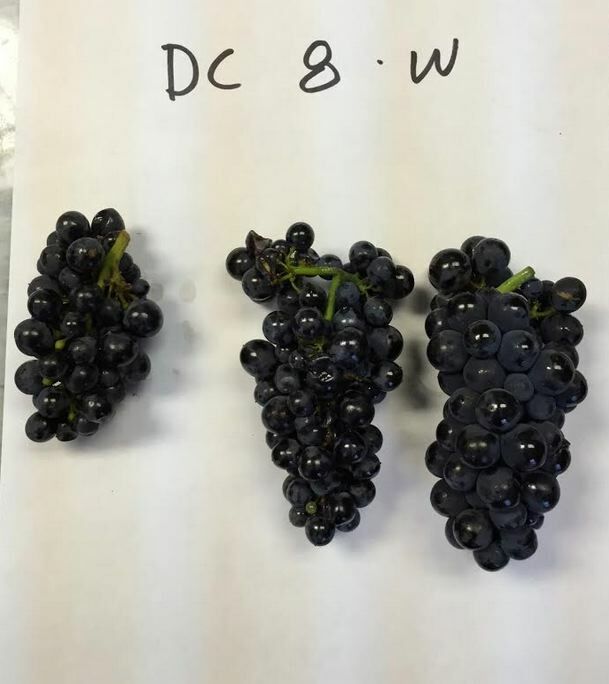 As ratings stand now, the only facts in tasting notes that are truly comparable are objective data such as vineyard information, production information, harvest Brix, final ABV, pH and TA. The subjective portion of the review including its presentation format is widely variable and as emphasized here, numerical scores are not strictly comparable either. As an example, here are two reviews of the 2009 Hirsch West Ridge Sonoma Coast Pinot Noir by two different publications. A barrel selection from three blocks along the main ridge of David Hirsch’s far-coast vineyard, this comes from 6A, 6E and 7, planted to Mount Eden and Swan, as well as clone 114 from Dijon. It’s quieter than you might expect from the New World, clocking in at 12.9 percent alcohol with a light, transparent ruby color, but the persistence of flavor reveals its inner strength. What at first seems spice and vegetal turns cool and exotic, in the tart cranberry range of the flavor spectrum, but more complex than that would imply. Spend some time with this wine, now or ten years from now, and you will be amply rewarded. 94, $85, 127 cases, Hirsch Vineyards, Cazadero, CA. 12.9% alc., pH 3.48, TA 0.67, 127 cases, $85. A limited production bottling from three exceptional hilltop blocks on the West Ridge of the Hirsch Vineyard covering 28 acres and divided into 27 farming blocks. This bottling is a selection of the most exceptional barrels from these blocks. The wine is dominated by Mount Eden clone with a dash of Swan clone. Aged 17 months in 35% new French oak barrels. Moderate reddish purple color in the glass. Exotically fruited, with a panoply of fresh, dark berry aromas underlain with scents of oak and underbrush. The pleasing core of dark berry and plum fruit is wrapped in moderate tannins and offers a citric peel acidity in the background. The wine develops more vivacious fruit over time in the glass indicating that cellaring is warranted. Very good. My proposed standard review format. The two reviews provide much of the same important information but the presentation is dissimilar and the facts and impressions are offered in a different sequence. Suppose the following format was used by both reviewers? The words in italics are for subjective assessment and are only suggestions that all reviewers could use by picking one option for consistency. These are only possibilities and would have to be refined, but you get the idea. Not all dates were available for this wine so they are not entered. I would be curious to know the thoughts of readers on the current use of the 100-point scoring system and any recommended alternatives. 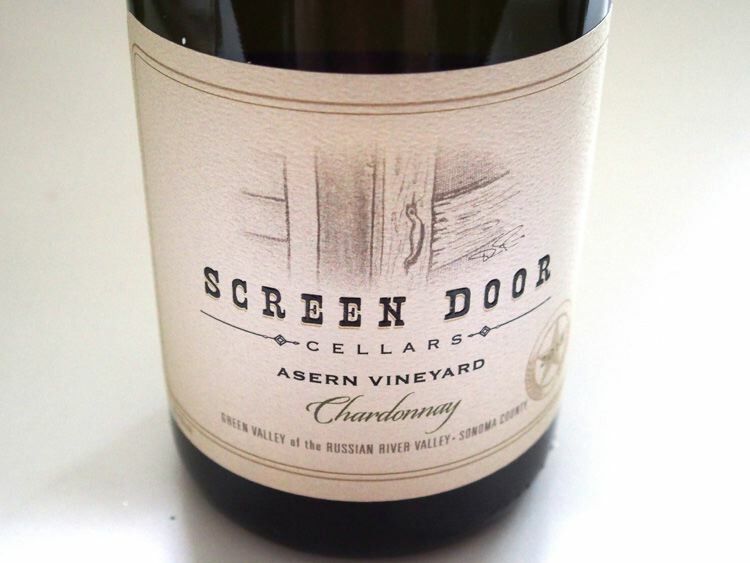 Do you read the wine description or do you use the score as your main guide? All appropriate responses will be published in the PinotFile. Please respond to prince@princeofpinot.com. Partners Don Plumley and Claude Koeberle launched Soliste MonoClone® wines with the 2009 vintage, returning California Pinot Noir to its roots in Burgundy and the craftsmanship of the Cistercian monks of Vougeot, focusing on Sonoma Coast Pinot Noir: wines produced from single clones, single vineyards, and matured in single cooperage. 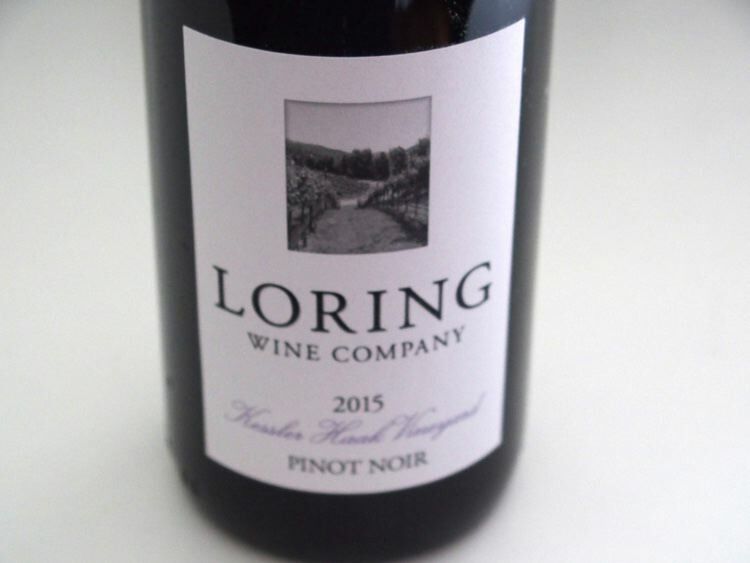 The winery’s limited production Pinot Noirs reflect a fanatical commitment to harness the purity and complexity of one clone from a single vineyard. You won’t find scores for Soliste wines in the major wine publications. The wines are darlings of sommeliers throughout the United States and are offered on wine lists of many highly regarded and Michelin-starred restaurants (visit the website for a listing of restaurant partners). They are produced in tiny quantities and sold only through an allocated mailing list. If you are a lover of Pinot Noir and have the wallet to match, these wines are required acquisitions. 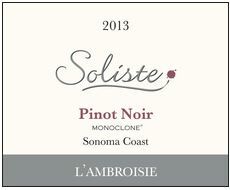 Soliste Pinot Noir is one of the few that I buy personally for my cellar. The following extraordinary wines were part of the 2016 fall release of Soliste wines. Soliste began modestly with the release of 143 cases of Pinot Noir from the Sonatera Vineyard in 2005. In 2009, the proprietors challenged themselves to make Pinot Noir from a single vineyard, single clone and allocate a single cooperage barrel house in France to deliver focus without compromise to each wine. The MonoClone® designation was trademarked, but Don and Claude were not infatuated with the idea because the wines had to deliver. If they did not, they would have gone back to blending the clones. The MonoClone® wines have turned out to be spectacular. Typically, L’Espérance is the most feminine and ethereal Pinot Noir that Soliste produces and L’Ambroisie is the most masculine and enigmatic and that difference is reflected in the wines in this vintage. At a time when most wineries are releasing their 2014 vintage Pinot Noirs and even 2015 vintage Pinot Noirs, Soliste has released 2013 vintage wines that have clearly benefitted from the additional time in bottle. Pinot Noir is all about aromatics, texture and refinement, and these wines are blessed with all three. You may be able to secure an allocation at www.soliste.com or contact Don at don@soliste.com. Still to come from the 2013 vintage: 2013 Soliste Solitaire Sonoma Coast Pinot Noir (clone 23, 100% whole cluster), 2013 Soliste Les Griottes Sonoma Coast Pinot Noir (clone “828,”), 2013 Soliste Nouveau Monde Sonoma Coast Pinot Noir (Pommard clone), and 2013 Soliste Forêt Sonoma Coast Pinot Noir (clone 23). This is a boutique winery located on the ranch in Casablanca, Chile, that has been in the same family for a century. 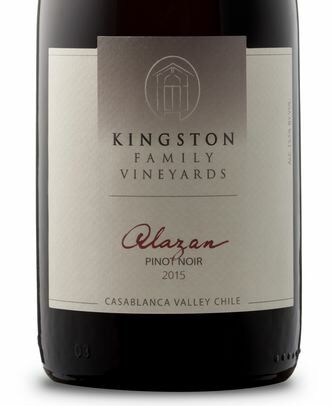 Kingston Family Vineyards is one of only a handful of Chilean vineyards leveraging artisan winemaking and sustainable viticultural techniques to produce cool climate Pinot Noir, Syrah, Sauvignon Blanc and Chardonnay from estate vineyards. The Kingston vineyards now consist of about 350 acres in a valley that is similar to California’s Central Coast, but somewhat colder. The vineyards lie about 12 miles from the Pacific Ocean surrounded by rolling forested hills. The climate is mild and the growing season is long. 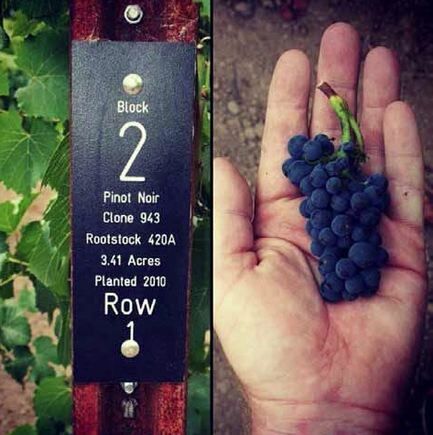 All vines are planted on their own roots with the 80 acres of Pinot Noir planted in the hills where sun exposure and drainage is more favorable and the soil contains considerable decomposed granite. 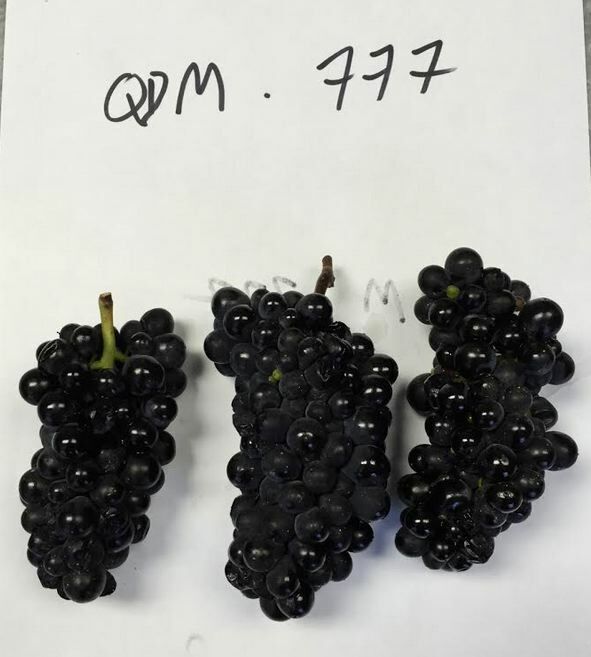 Dijon clone 777 is planted along with two field selections known as Valdivieso, a shot berry clone similar to Swan that makes the top Alazan blend, and Conca y Toro, a small-clustered clone. The Chilean winemaker is Amael Orrego and the North American consulting winemaker is Byron Kosuge. Kosuge has specialized in Pinot Noir for over 25 years. Pinot Noir vinification is traditional and includes a 5+ day cold soak, mostly native yeast ferments in 1-ton and 3-to-5-ton open top tanks, with pump overs and punch downs as needed. Press wine is separated, and the wines undergo malolactic fermentation in barrel using indigenous bacteria. The wines are aged only in French oak barrels with roughly 15% to 30% new barrels for 10 months. The wines are not racked until the blends are assembled just before bottling right before the next harvest. 2015 was an unusually warm vintage for Kingston. The wines are available for shipment to US markets and consumers. As an added bonus, the wines represent excellent value. Visit www.kingstonvineyards.com. Since 2009, winemaker Katy Wilson has offered excellent small lot bottlings of Pinot Noir from the Sonoma Coast. Her talent is exemplified by her consulting position for several wineries including Anaba Wines, Banshee Wines, Claypool Cellars, Reeve Wines and Smith Story Wine cellars. 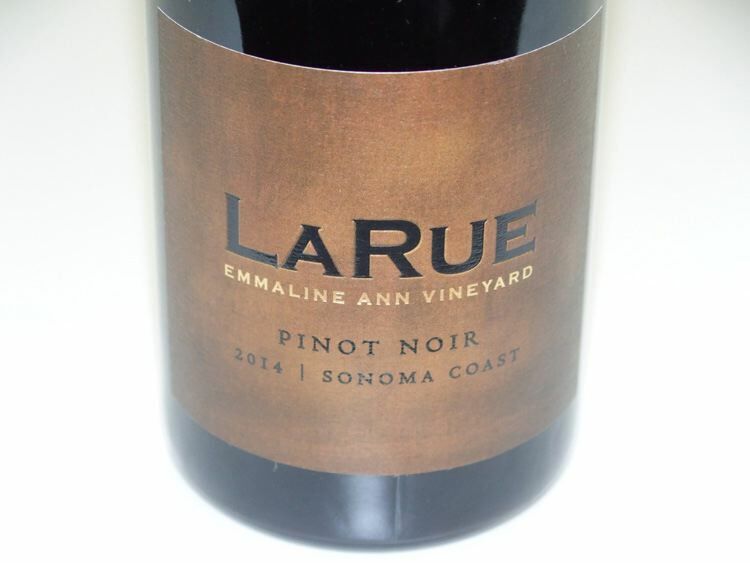 LaRue Pinot Noir and Chardonnay is sold through an allocated mailing list at www.laruewines.com. Production is 500 cases maximum. 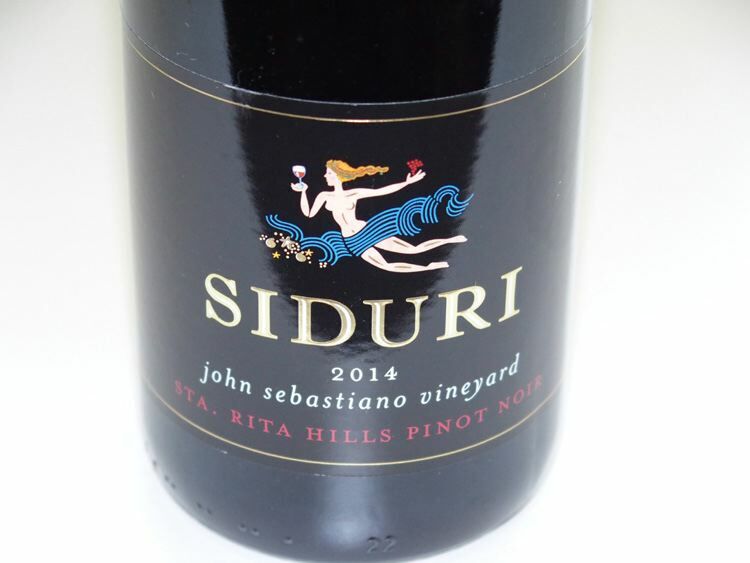 The appellation Pinot Noirs, and vineyard designated Pinot Noirs from Santa Lucia Highlands and Green Valley of Russian River Valley were released in September 2016. The remainder of the vineyard designated Pinot Noirs will be released in February of 2017. These are very young wines with the aromatics of several wines in hiding at present and undoubtedly will be more accessible and deserve higher scores after another year in bottle. I did re-taste several bottles 24 hours later from a previously opened and re-corked bottle, but there were not any significant changes. There is not much to distinguish the appellation wines from each other. Most of the single vineyard wines are clearly the most classy offerings. The first time I have tasted wines from this producer located in the Sta. Rita Hills. The owner is John Wagner, who owns John Sebastiano Vineyard and a part of Sierra Madre Vineyard. Doug Circle owns Sierra Madre Vineyard and trademark. Winemaker Paul Lato crafts the wines. www.peakeranch.com. Bob Cabral, formerly the winemaker at Williams Selyem, has been leading the team at Three Sticks for the past 18 months. He is a fourth-generation farmer and grower from the San Joaquin Valley, he grew up pruning vines and harvesting grapes on his family’s 70-acre ranch near Escalon. He then spent 17 vintages as head winemaker at Williams Selyem. Currently, he works with associate winemakers Ryan Prichard and Ashley Holland. 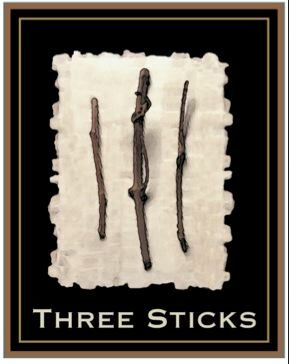 Tours and tastings of Three Sticks wines are available by reservation Monday through Saturday at Sonoma’s Adobe, a historic villa constructed in 1842 and now the longest occupied home in Sonoma. Both focused tastings and food and wine experiences are offered. 707-996-3328. The website is www.threestickswines.com. These two Pinot Noirs are single vineyard designates from the winery’s two “home” vineyards. Freixenet USA Launches WindVane Luxury Wines Freixenet USA, the owners of Gloria Ferrer Caves & Vineyards, announced the release of the first wine from its new luxury wine brand, WindVane, an homage to the wind that lends to the unique character of the wines of western Carneros. The 2014 WindVane Carneros Reserve Pinot Noir ($80) is the first release, a blend of Pinot Noir grapes from some of the windiest and most devigorated vineyard blocks located throughout the 335-acre estate vineyards of Gloria Ferrer in the Carneros AVA. Only 100 cases have been produced under the direction of Steven Urberg, who leads the winemaking for Gloria Ferrer. 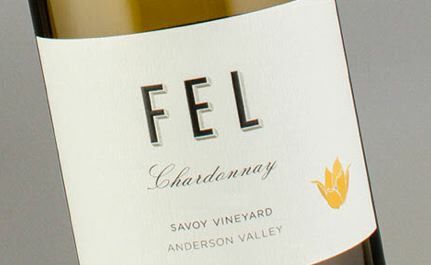 This wine will be available in select accounts in California and New York. In 2017, approximately 3,000 cases of WindVane Estate Grown Pinot Noir and Chardonnay will be released nationally. Visit www.windvanewines.com. 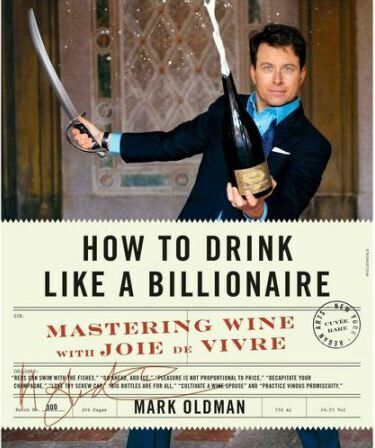 How to Drink Like a Billionaire: Mastering Wine with Joie de Vivre Wine expert and personality Mark Oldman expounds on the secrets of the wine world in this witty guide, advising the reader how to drink like a billionaire on a small budget. In 132 short chapters, Oldman peels away the pretension that surrounds wine and offers straight talk on finding moderately priced bottles that drink like expensive ones, avoid being a victim of wine trends, insider wine lingo, and how to deal with wine lists and sommeliers. Hardcover, $17.50 through major retailers. Reviewers have raved about this book. Spring Mountain District Harvest Celebration 18 wineries from Napa Valley’s Spring Mountain District will be hosting a tasting of current releases along with a few surprise vintages. The event will be held Thursday, November 17, 2016, from 5:00 p.m. to 8:00 p.m. at the Presidio Golden Gate Club in San Francisco. Tickets ($65) can be bought at Eventbrite. Participating wineries include Barnett Vineyards, Keenan Winery, School House Vineyard, Smith-Madrone and Stony Hill Vineyard. 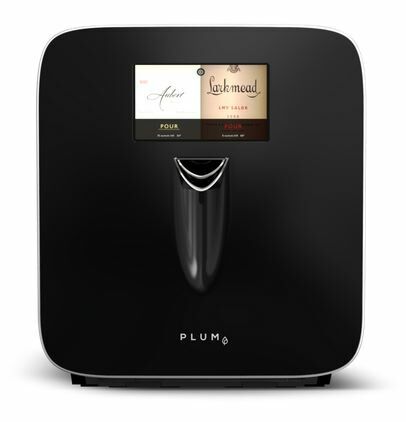 Plum: An Innovative Wine Accessory Plum is a fully automated appliance that allows one to open a bottle of red or white wine, pour a temperature controlled pour, and preserve the remaining wine, all at the touch of a button. A needle pierces the bottles closure, dispenses the wine, and pressurizes the bottle with argon gas. The wine is said to be preserved for 90 days. Designer David Koretz, who has a long history in the tech industry, wanted a device that would allow him to have a glass of wine at the end of the day available easily at the proper temperature. In addition, a computer and camera is integrated into the Plum, allowing scanning to identify the wine vintage, varietal, region and winery from a database of more than six million wines and the result appears on a touchscreen. Astonishingly, Plum works with any standard 750 ml bottle of wine with any closure, including artificial cork and even metal screw caps. Two bottles are nestled in separate cooling chambers that can be kept at different serving temperatures. Plum can be pre-ordered now for shipping in spring 2017. $1499. Visit https://shop.plum.wine/products/plum?variant=27127742403. Rare DRC Wines Command Stratospheric Prices At the recent Christie’s Fine Wines and Spirits Auction, six bottles of 1978 Romanée-Conti burgundy sold for $110,000, or about $18,000 per bottle. The price doesn’t include the 25% buyer’s premium added to the hammer price. Two bottles of 1978 Romanée- Conte Le Tache sold for $22,000, and six bottles of 1976 Romanée-Conti Richebourg sold for $11,000. The wines were from the collection of the late executive Jay Stein. 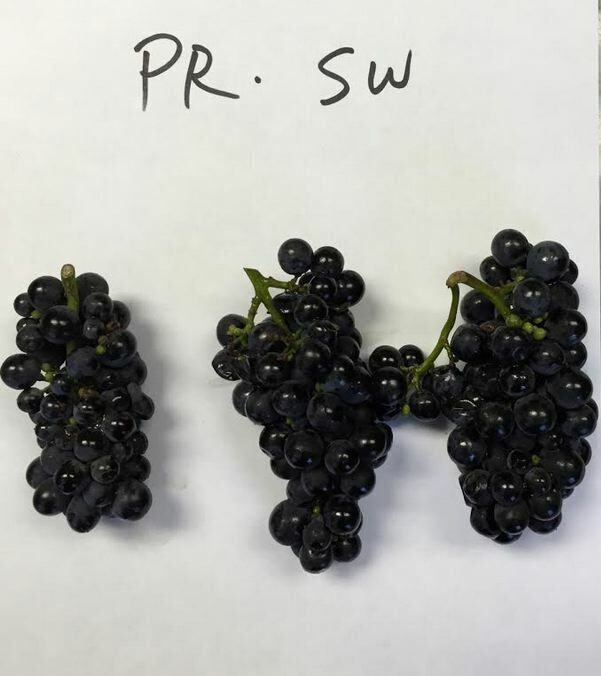 Oregon Harvest Report 2016 This was another easy vintage for Oregon vintners, with most grapes picked by the first week in October. Despite the early harvest, the growing season was still lengthy because of early flowering in the spring. Vintage 2016 was the third in a string of ideal vintages with no weather pressure.